All our customers are invited to post a review and we publish them all, good or bad, so you can get a realistic picture of the holiday and our services. We had a very enjoyable five days walking. "You were very helpful with the change in booking dates and the information and maps were great - thank you for going the extra mile!" No surprises - ‘It did what it said on the tin’. "Thanks again for the as usual excellent service." "Nice walks, but I prefered the eastern side. Route information excellent, everything you needed and more." "Interesting walk for those with a pioneer attitude. Guide book a tad out of date and little or no sign postings for this trek. Regardless a great challenge and look forward to completing the Southern section." "We got fantastically lucky with the weather on the first day up Scafell Pike! Apart from that the transitions were seamless and the guide and maps were very easy to follow." "I have worked with other firms that arrange self-guided trips and they were competent and professional. But Wandering Aengus is head and shoulders above the rest. I wound up requesting several changes to a bespoke trip and WAT responded cheerfully and helpfully and never missed a beat. Early on, I noted that a train journey from Penrith to London looked pricey at 106 pounds. When those tickets went briefly on sale for 30 pounds, WAT notified me so that my wife and I were able to save 152 pounds in train travel. Next time we walk anywhere that WAT covers, WAT is going to be our first choice. In addition to all that, their charges were a bit less than their competitors. Tip top service for less money! From what I have seen, you cannot go wrong with WAT." "We had a great week helped by good weather and walked in shorts and teeshirts the whole week. 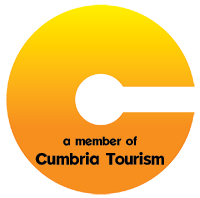 Although we knew the Lakes it was still a lovely route and we thoroughly enjoyed the Cumbria Way." "We are a family with 3 kids, 17, 15 and 13 years. We have had the best holiday ... thanks very much." "The organisation, the information and the whole weekend exceeded expectations. We all had an amazing hiking experience. Thank you." Quite simply, we just had a great time. "The good weather certainly helped, but the accommodation was much better than I expected. I walked the Ridgeway with Load Off Your Back last year and thought that the standard of accommodation was much higher with you." "I found my info kit and its practical presentation really well thought out and useful. I noted other walkers from time to time with large laminated maps suspended from a cord around the neck, blowing around like kites in a gale, which seemed absurd. Self-garrotting you might say! Your route information and guidance to accommodation et al. was excellent. And I really enjoyed reading the book after each day’s walk, as it then had context and made much more sense." "Of the six in our group (three siblings and their spouses), all are very experienced travellers but with different tastes and travel styles, ranging from hostels to five star hotels. Your arrangements worked for all of us. The little laminated maps were great. I had downloaded OS maps to my phone before the trip, and we sometimes referred to them to confirm we were on route." "The Lake District is stunning and we saw it at its best in glorious sunshine"
"Originally I was going to self-book my trek, but I’m glad I went through Wandering Aengus as you guys have the local knowledge, expertise and connections that made my trek stress-free and very enjoyable. The routes were interesting and varied, the accommodation of a high standard, and the ease of having my bags transferred was a god send. Hopefully I will come back soon and do another trekking holiday with you guys"
"The organisation and planning of the trip are absolutely a dream; nothing to fault. The accommodations are perfect, the people are wonderful. it has been an absolute pleasure. The views are awesome as a bonus :) Great work; thank you very much to allow us making such wonderful memories"
My wife and I planned for three years to take our entire family (8 adults and an infant) on this trip to celebrate our 60th birthdays and we could not be more pleased with experience and the care that Wandering Aengus took to ensure a memorable holiday. "Pete and Karen were amazing through the entire process. Everything was made clear and they were always available to answer our questions. We were organizing four couples from three cities in the United States, with the added complication of having an infant along on the trip. Everything went without a hitch and we all had a wonderful experience. From accommodations to excellent recommendations on places to have dinner, Wandering Aengus could not have been more helpful." We did the NE Lake District walk over four days. Two easy days along lakes and two harder days over the hills. "Beautiful part of the world and the organisation was excellent. Nice hotels and B&Bs, thanks for making it a memorable trip." Beautifully put together with lots of helpful information. "Beyond my expectations as far as the country and so pleased with how Wandering Aengus set everything up. I do think if I did it again I might make some changes on distances walked but I think you have to know the terrain better to do that." "As your website rightly describes it “a gem of a walk” apart from a small distance around Addingham a great walk through varied and beautiful scenery. All accommodation was good and the baggage transfer worked perfectly. As I had never been there before the Howgill Fells were a revelation and a contrast to the more familiar dales." Wonderful three day stress free walking experience in the Lake District. "This was our first time hiking in the Lake District. Pete and Karen were able to coordinate a perfect three day hiking ittinerary for us meeting our exact requirements and also including some interesting historical sights as I had requested. The accommodation was wonderful and the walking maps and additional local information was very helpful." Excellent walk with some more gruelling bits but all together a very rewarding experience with stunning scenery. "Very well organised by WA even down to the weather! We thought the Carlisle to Bowness might have been a disappointment but in fact it was very interesting and included a coffee in the village hall in Beaumont as well as tours of the churches built with Wall stones. If you like a medium length satisfying walk with Roman engineering to marvel at then choose this one, organised by Wandering Aengus of course." "This was a great trip. We stayed in the most beautiful guest house with a super-tasty breakfast. The attention to detail and organisation from Wandering Aengus was excellent. We'll definitely be coming back. Thank you, Amy and Andy"
We have used Wandering Aengus before and found the attention to detail very reassuring. "Longer days than anticipated on a couple of days in particular we were finding some of the paths rocky and unstable thus it took longer to complete that section. Eg Cam high road. Views however were worth it!" A great well planned walk despite the weather. Wandering Aengus again. "No problems throughout the walk, B & B's were very good and bag transfer was excellent. Would use again." "The tour was well thought out and organized by Pete and Karen. The Info packages were excellent. Loved it." "Great accommodations, plenty of route options each day and great customer service. Thanks for everything." "Very well planned and organised by Karen and Pete at Wandering Aengus. They made a few changes where needed and nothing was too much trouble. We would definitely use them again in the future and recommend to friends." "Wandering Aengus were happy to incorporate an extra couple of days for us, to even out the daily mileage. This enabled us to take our time and really appreciate the stunning countryside." "The attention to detailwas impeccable. The laminated accommodation information and maps/directions was exceptional. The standard of accommodation, particularly Westgate Hall and Shepherds Croft was excellent. I would definately recommend Wandering Aengus Treks." "Fabulous weather and scenery for the whole trip. The maps to accommodations did not seem particularly useful, but we used our phone's gps and everything worked out great. Loved Aydon's Castle--it was worth walking the extra miles." "Huge thanks to Wandering Aengus for organising my trip. I will definitely use them again. No problems whatsoever. I had a great walk - just sad its over." "I throroughly enjoyed my trip and had great support from Pete tracking down my bag after another company decided to pick it up as an extra after it had been delivered to my destination. I would easily recommend Wandering Aengus treks to others and wouldn't hesitate to use them again for another trip myself." "I am very grateful to Karen and Pete for organizing such a great experience. There was great attention to detail and everything was pretty much perfect, with excellent communication and organization. The hiking was challenging in parts, but extremely rewarding and beautiful. I would definitely use Wandering Aengus again and do hope I can make it back to the lakes again soon." "So well organised, amazing accommodation, so despite the difficult weather, it was great"
A stress free and thoroughly enjoyable week. "Everything ran like clockwork. The information provided was excellent and we really enjoyed the interesting variety of accomodation. Many people we spoke to recommended doing the walk West to East, but we enjoyed finishing in Bowness, despite the more limited travel options and unfavourable wind direction!" "Just a quick note to let you know that Ruben and I were very happy about our trip. We really had a wonderful time! Thank you very much for everything!" "Great holiday. Your attention to details (laminated accommodation and diversion details) great, the ease of contact, lack of any hassle and total package brilliant. Would both use and recommend your services any time on any walk (with or without dog)"
"Very efficient from quote to information pack. Thank you for all your assistance during the walk. Will most definitely use you again." "We have been very impressed with your overall efficiency from the very beginning, in particular with your choice of accommodation. It was all well up to standard"
"It was nice to contact the owners directly before booking and receive an honest review of the tours, which helped us choose the right trek for us. We also appreciated Pete meeting us on our first night with suggestions for our tour and local advice." "Really appreciated thoughtful and well written walk options. Looking forward to your recommendation for next year!" "Without a doubt – wonderful company – so organised and helpful when booking and the detail was first class. Accommodation great and perfect locations as well. Amazing experience and as they say We'll be back!!!!" "We are very satisfied with everything: the information before arrival, the information on arrival in Keswick and meeting Pete at Greystones, the accommodation and hospitality, and the beautiful Lake District".
" I am just writing this (in the car on the way home!) to say thank you for organising such a brilliant and beautifully organised trip. We were all so impressed with each hotel and everything ran like clockwork. Everyone was so welcoming. Our information packs were beautifully put together and so well thought out and the walks were different everyday. We recommended your company to all people we met along the way ( but most of the time we had the fells to ourselves) We are reluctantly heading home but will certainly book another! Thank you again." "A whole hearted yes! We hope to come back to you next year for the Ravenber Way"
"We are all very impressed by your attention to detail and standard of information provided overall. With your pack in hand we were well-supported and able to concentrate on our walking holiday without worrying about the arrangements. Thank you." "The information provided from Wandering Aengus was excellent, including the diversionary routes owing to the December floods. Although I realise you have no control over this element – the waymarking on the route was very poor, in some cases incorrect or just missing completely and on arrival in Carlisle there was no marker on the cross on the Market Square to say that you had completed the Cumbrian Way. Thank you once again for a wonderful holiday - we had a really memorable time together with lots of challenges for all! I am sure we will be contacting you again!" "Walks tailored very well to capabilities. Continued the second walk down to the water and caught the boat back. Being dropped off at the furthest point and walking back to base worked extremely well." "Karen and Pete booked good quality accommodation and baggage transfer for our 9-day Cleveland Way trip. The trip went like clockwork – all logistics were handled exceptionally well – leaving us to enjoy our walks on the moors and by the sea. Karen even rebooked us into an alternate lodging for one night when she learned one of our lodgings was to have live music playing late. We were thrilled to get that kind of personal care from Wandering Aengus". "What can I say. Craig and I really enjoyed our week doing Hadrian's Wall. Everything went very smoothly thanks to your help. As I have said on the attached feedback form one excellent tip that we picked up on was that some people stayed for 2 nights in Carlisle and got the bus to Bowness and walked back which put them in Carlisle early on the travel day. Unfortunately we forgot to get Craig a T shirt but will pick one up from somewhere. I suspect that we will be coming back to you in a couple of years to sort out another walk for us. Again, many thanks for taking the strain". "We appreciate the choice of routes with a shorter, easier one and a more challenging option I am sure the longer options are magnificent, but being of a certain age, we took the easier route each time. Other walking holidays have longer days, typically 10-12 miles or even more, with little choice to shorten them. This would have been too much for us. I was so happy to find Wandering Aengus". "Excellent – sometimes there was a distinct lack of signs, so the descriptions were very useful, and your little ‘cards' for the accommodation were also great." "Yes we would and will also recommend you to any friends who are considering doing something similar. This was a more challenging walk than we had anticipated but very satisfying. It was good to use the book in conjunction with the map as there are some areas with limited waymarks"
"Thank you for an excellent holiday. All the accommodation was clean comfortably and well furnished. We all said how nice it was to try different types of accommodation each night. All the arrangements from start to finish could not have been better. I work in a customer facing industry were customers have to be extremely satisfied and I have to say using your company for the first time I am EXTREMLY SATISFIED". "We would like to thank you for your help in planning and booking our holiday, which was a total success, full of pleasurable walks in outstanding surroundings. Even the weather proved to have been on our side - not a single drop of rain while walking and, the only really cool and grey day was when crossing the moors, which only added to the atmosphere! Special thanks for all the e-mailing while preparing for the holiday, for your help and patience.